A very fine and soft embroidery wool made for Au Ver a Soie by La Route de la Laine in France. This lovely wool is finer than DMC Medici and comes in 8 meter skeins of 4 ply wool. 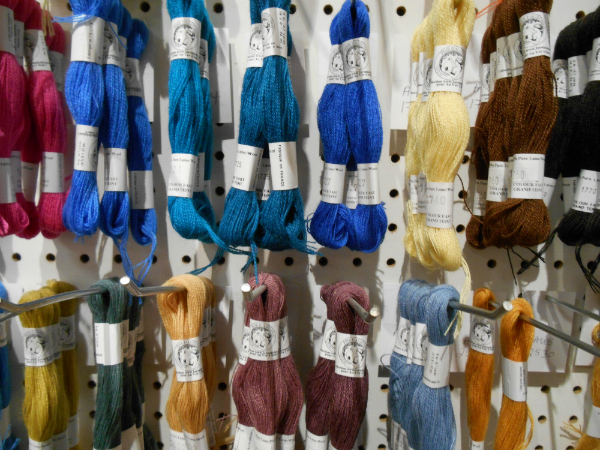 Some of the colors have the same numbers as the Soie d'Alger silk floss.